This guy has a twin brother in Arizona. Is that Ben Quayle the Idiot? 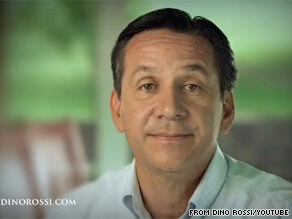 Dino Rossi?..........Who's his campaign manager gonna be? Vito? Gino? "little" Paulie? or Joey "bag o doughnuts"?....... (cue the Godfather music). I voted in Washington! Patty Murray for Senate, Jay Inslee for Congress. Can't wait to vote them back to Congress in November!